All of us here at Mike Anderson Chevrolet of Merrillville have one goal—to provide our customers with the very best dealership experience possible. From our sales staff to our certified service technicians, you can count on receiving the highest level of customer care of any dealership in northwest Indiana. It’s very simple, we value our customers and it shows in everything we do. We strive to provide our customers from Highland to Gary with a winning combination of convenience and value. Toward that end, we have combined our inventory with that of our sister dealership in Chicago to create one of the largest inventories of new and used vehicles you’ll find anywhere in the entire Midwest! This means that you are almost certain to find the exact make, model, trim level, and color of the car, truck, van, or SUV you are searching for just by visiting our dealership. 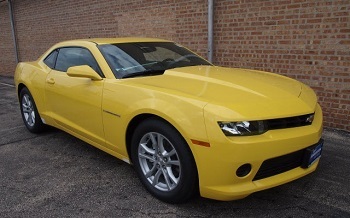 Drivers from northwest Indiana know that we carry a comprehensive inventory of exciting new Chevy models, but what many may not know is that we also have a fantastic selection of pre-owned vehicles of all kinds from many other major automakers. Combining our inventories gives you the opportunity to find a vehicle of just about any make and model. Our everyday low prices, and smart financing options, along with current specials, incentives, and rebates mean that you will get the very best deal available on the vehicle of your choice today. Best of all, you’ll save yourself the time, money, and hassle of visiting multiple dealerships in search of the car you want. Mike Anderson Chevrolet of Merrillville is truly your one-stop shop for quality solutions to all of your automotive needs. Whether you are shopping for your next car, or are in need of quality auto parts or service on your current vehicle, all you have to do is stop by our Chevy dealership near Highland. We are open from 9 a.m. to 9 p.m. Monday through Friday, and from 9 a.m. to 6 p.m. on Saturday. Please contact us if you would like more information, and come see us today at Mike Anderson Chevrolet!